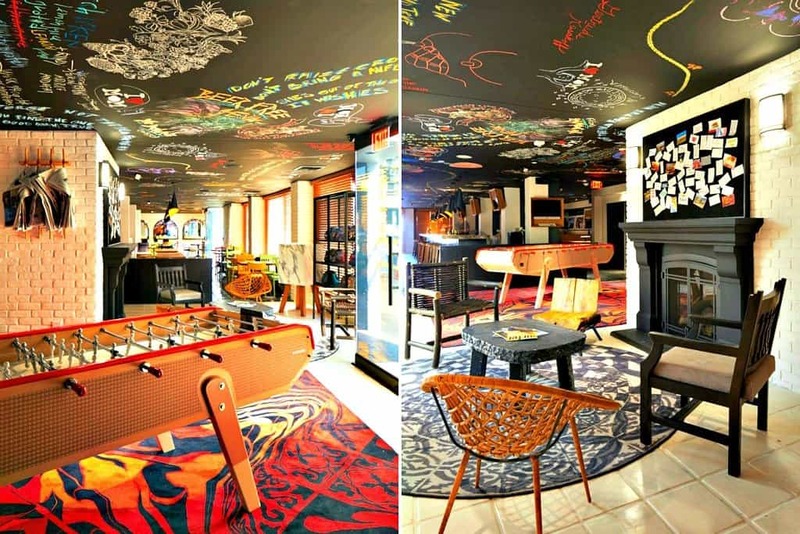 If you love cool and funky hotels then you’ll totally fall for the 4-star exceptionally rated Freehand Hotel. Housed in the former Commercial Exchange in downtown LA (an 8-minute walk from the nearest metro station), it truly is a one of a kind hotel. This 1920s icon has been transformed into a fun and sociable hotel/hostel with a mix of shared or private rooms all with cool retro/chic styling. The unique LA accommodation experience offers a chance to meet like-minded guests as well as room service, a convenient valet and an attentive bellman. There’s free Wi-Fi and a guest lounge as well as The Exchange, a modern American/Israeli restaurant and Broken Shaker, the ultra-hip rooftop bar. There’s even a coffee bar in the hotel for that morning fix. And if you love cocktails, then check out Rudolph’s Bar and Tea where you can get tea-infused cocktails and a full tea service! One of the most popular hotels in Los Angeles, and with good reason! Prices from $120 a night. 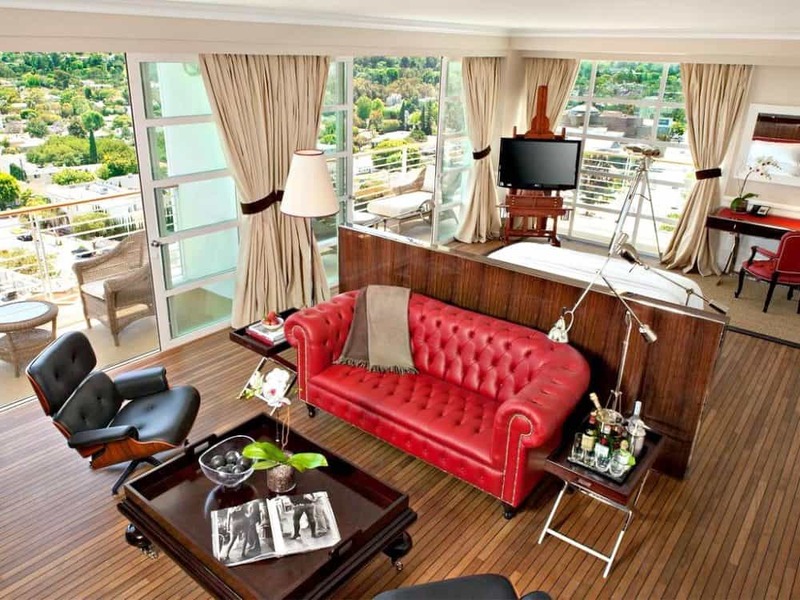 Stylish and smart and towering above fashionable Sunset Strip, this chic 4-star exceptionally rated hotel is ideally located to explore this fabulous city. Originally opened in the 1960s where it was the preferred hotel du residence of the rock ‘n’ roll set throughout the 60s and 70s. 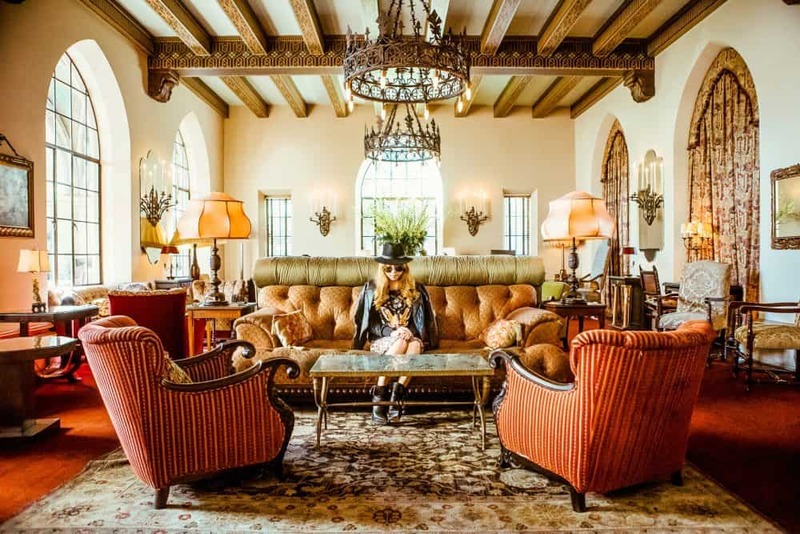 Led Zeppelin once stayed at The Andaz and it has been the setting for numerous films, so begin your own Hollywood story by spending some time in this award-winning hotel. The hip Los Angeles hotel hasn’t forgotten its rock ‘n’ roll past, with art installations honouring its famous history. The rooftop pool is also a must for both a swim and panoramic views (as well as fabulous sunsets of course). 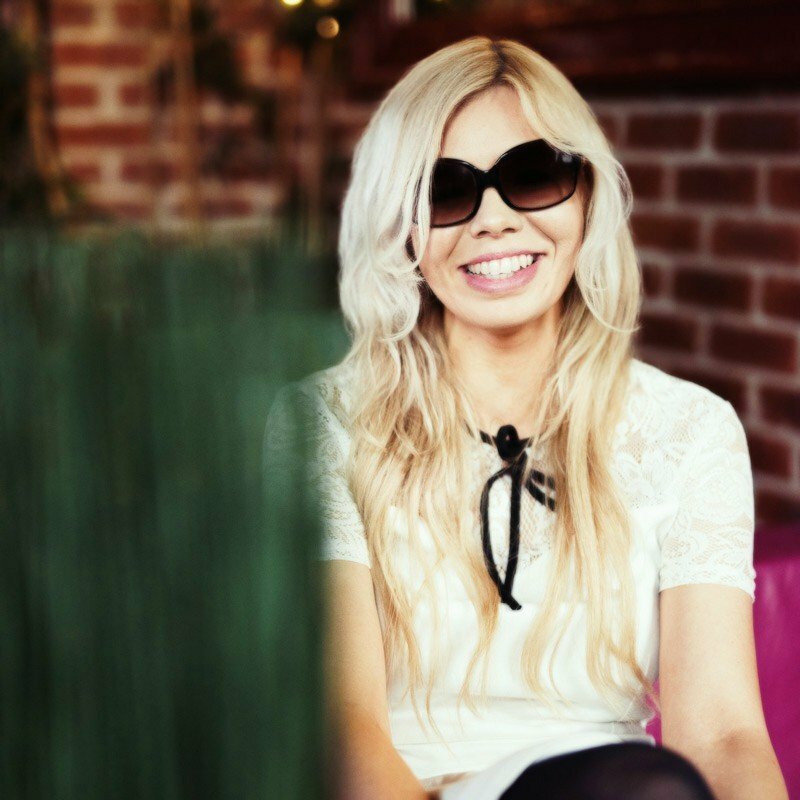 During the summer, talented DJ’s will help you rock that LA vibe and lucky guests can enjoy evening wine tastings, eclectic dining, and fusion fare while also finding themselves within walking distance of iconic clubs like The Viper Room, Whiskey A Go-Go and Rainbow Room. Alternatively just enjoy a signature cocktail at the aptly named hotel bar – The Riot Room! An LA institution and a seriously cool place to stay in the city! Prices from $150 a night. 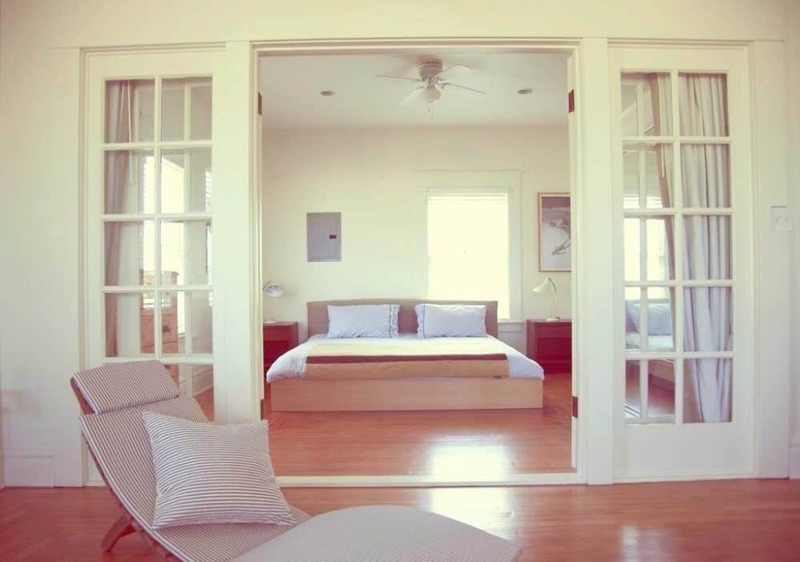 The exceptionally rated Kinney Hotel is a way to stay in a hotel while feeling like you are living like a LA local. 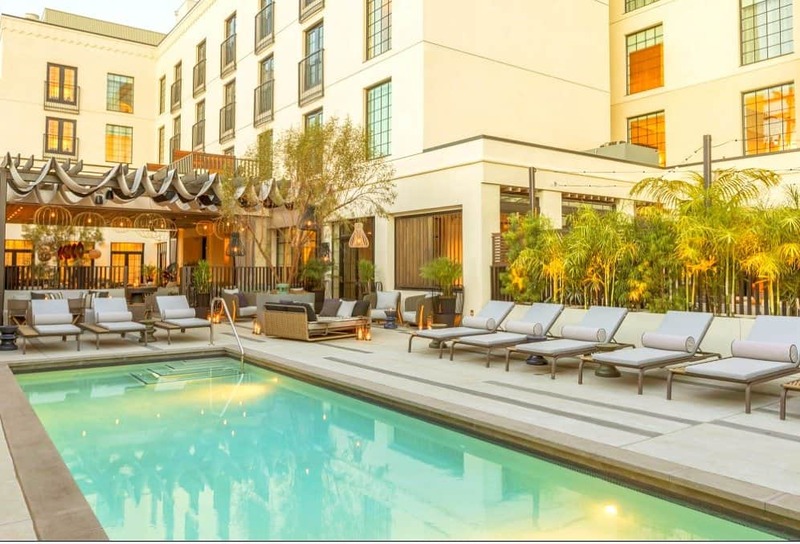 The Venice Beach located hotel has guest rooms and crash pad suites all arranged around The Quad, an open-air courtyard complete with a fire pit, sun loungers, a hot tub and even ping pong tables. Start the day at the Breakfast Club, with made to order breakfasts then head to the beach. Other highlights at this trendsetting Los Angeles abode include a heated dipping pool, a spa, an on-site beach cruiser rentals, a fitness centre and a bar top. As well as fabulous decor, the bright and funky guest rooms offer Wi-Fi, CO Bigelow bath amenities and the trendy crash pad suites are ideal for larger groups. You won’t want to leave! In continuous operation since the 1920s, the elegant Revival-style Palihouse Santa Monica brings a little of the sumptuous French Riviera to the American West Coast. The 4-star exceptionally rated Palihouse operates on the philosophy that in order to live a life well-travelled it must be made up of unique experiences, therefore they aim to place their property at the centre of that ethos. 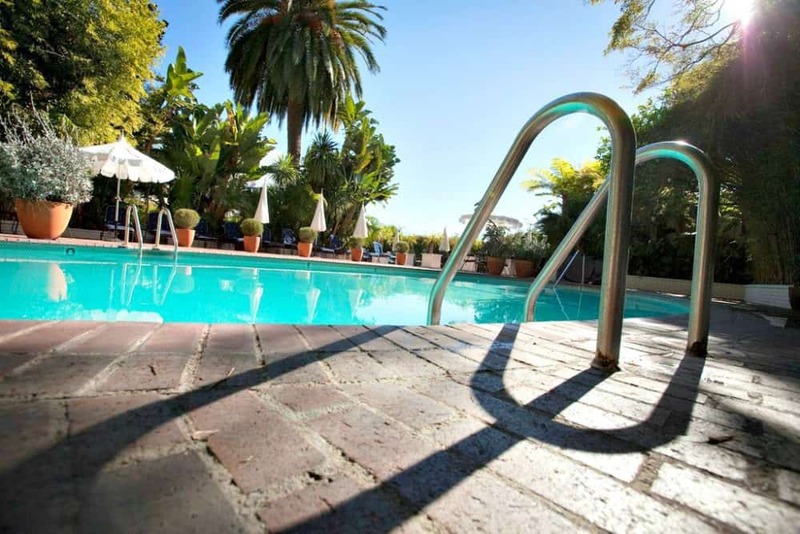 In 2001, the European vintage chic all-suite hotel was designated a Santa Monica Historic Landmark owing to its meticulously maintained lush courtyard and ornamental façade. These coupled with a cool club-house feel and uniquely decorated rooms, ensures it provides an inspiring and sophisticated experience in keeping with its mantra. 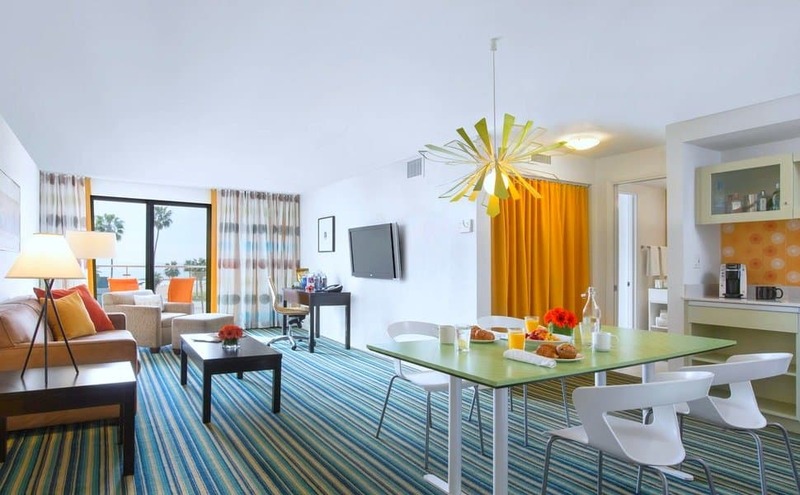 Colourful, spacious and with enough quirkiness to keep things interesting, it’s a beautiful Los Angeles gem of a hotel! Prices from $160 a night. With a fabulous location on Sunset Strip, this LA institution of a place is housed in a mid-century metropolitan building which was once the headquarters of the Superior Oil company. 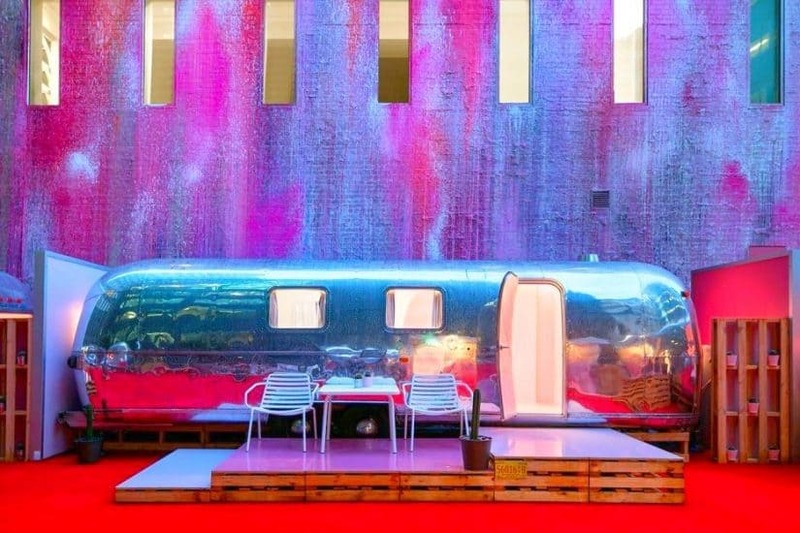 Now its news owners are a lot cooler and this sassy LA hotel offers fabulously funky pop-culture inspired accommodation instead. 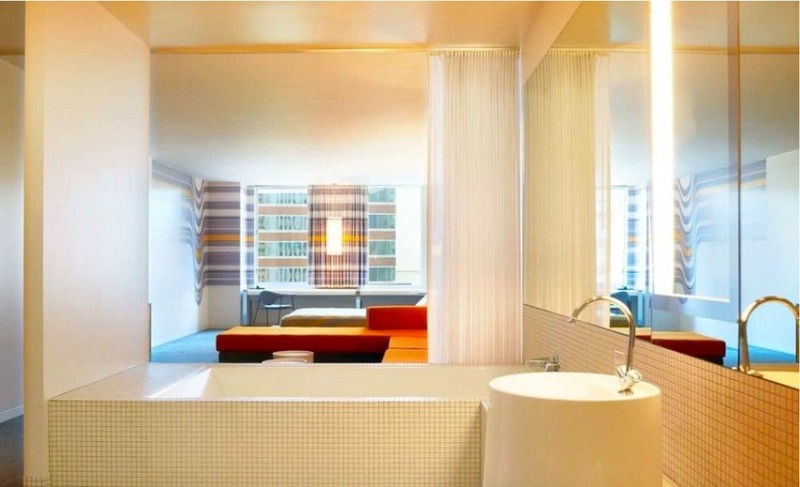 There are 207 spacious rooms in total at the 4-star highly rated The Standard Hotel Downtown and the prices handily range from the reasonable to the top end featuring oversized bathtubs, mood lighting and platform beds in every room. 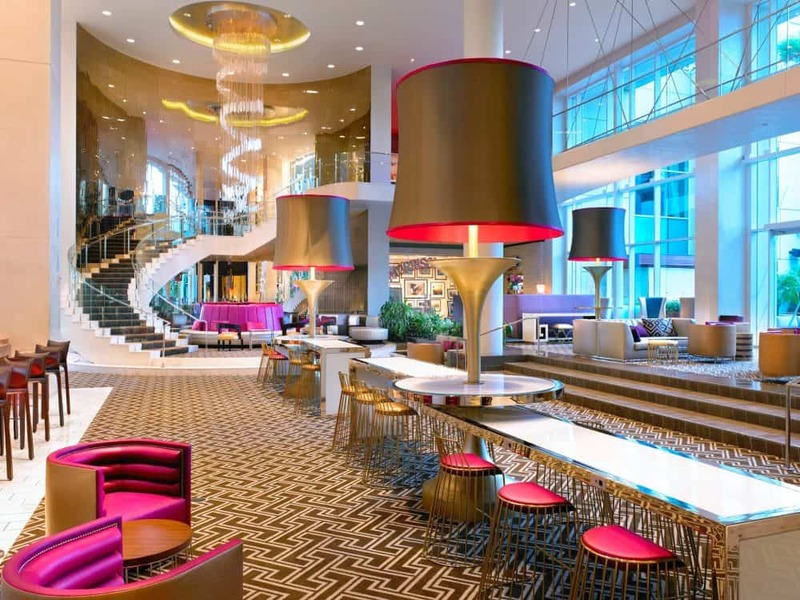 The decor is both fun and interesting – think Fifties and Sixties-era prints, a floor-to-ceiling shagged lobby, kitsch but stylish furniture and pod-esque rooftop pool cabanas complete with vibrating waterbeds! A place where the curious and unexpected will meet you at every turn and a place which always seems to live up to its hype! Prices from $110 a night. Part of the creative Joie de Vivre hotel chain, the unique Hotel Erwin is one of the trendiest accommodation offerings along LA’s famous Venice Beach Boardwalk. 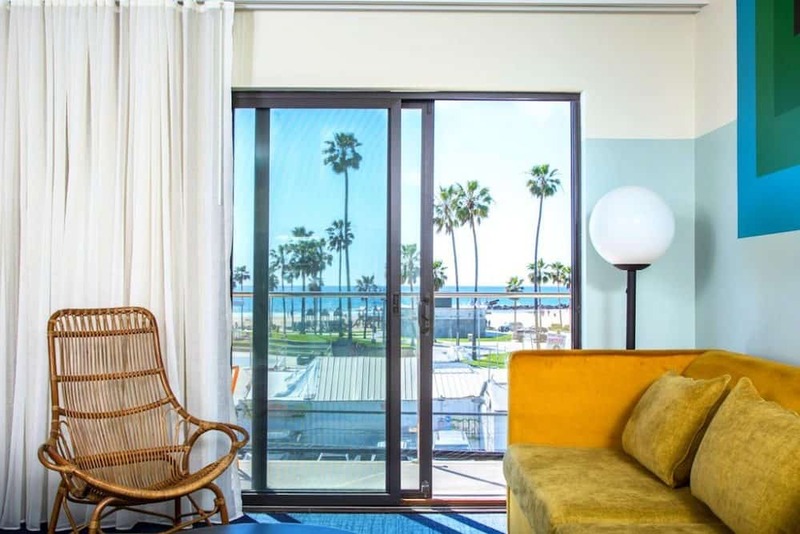 Perfectly reflecting the cool and laid back Venice beach vibe, the 4-star and much-loved contemporary Los Angeles accommodation is both reasonably priced (well for a central beach location anyway) and boasts a decor that’s not afraid to be different. With its tongue firmly in its cheek here you’ll find a restaurant called ‘Hash’ and the highest rooftop lounge on the boardwalk named ‘High’ – clever indeed! Guest rooms have colourful and bright designer schemes adorned with contemporary art and a typical Californian retro-chic style as well as Wi-Fi and flat-screen TVs, iPod sound systems and spend a little more, you could find yourself waking up to ocean view or even in their incredible ‘surf suite’ which features DJ turntables and an enormous two-person tub. A very hip LA hotel perfect for free spirits aching for a bit of ocean action! Prices from $140 a night. The highly rated 4-star AIR Venice Hotel takes a historic, early 20th-century building and turns it into a modern and fresh swish hotel with great amenities. 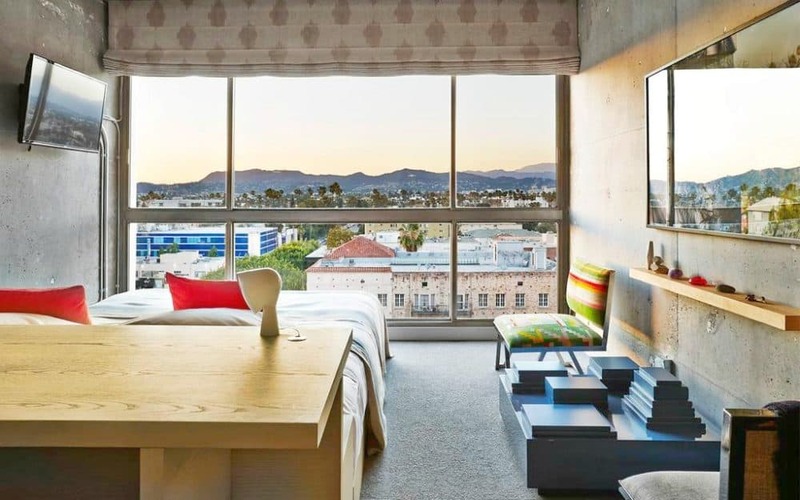 It is located right on the Venice Beach boardwalk, so you can watch the incredible sunset from your room – this trendy Los Angeles hotel is all about the seriously lush views! 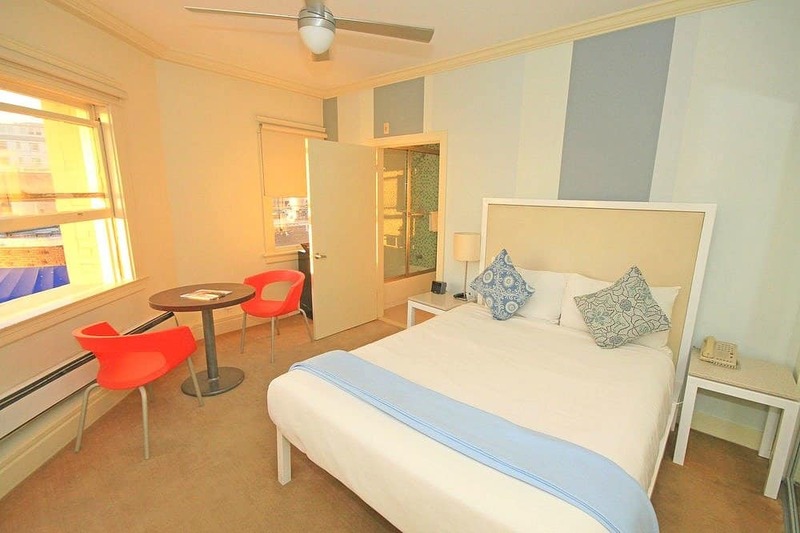 The designer furnishings make the bright stylish rooms very comfortable with flat screen TVs, free Wi-Fi and a coffee maker as well as an onsite contemporary restaurant with a bar serving Italian fare. The suites are ideal for vacations and even as short-term housing if you need to be in the area for a while or just love to be beside the beach. The location also means you are ideally placed to explore the area and downtown Santa Monica is less than three miles away – a very popular place to stay in LA and rightly so! Prices from $60 a night. 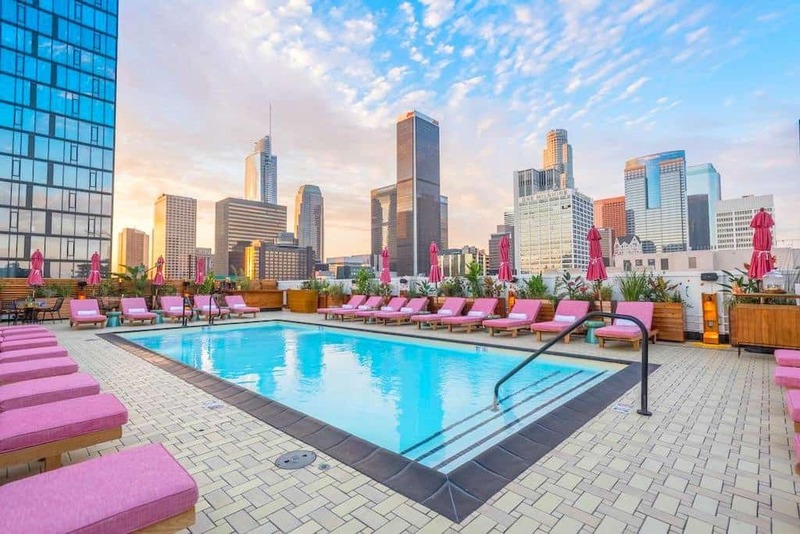 Effortlessly cool and boasting stunning views of LA, the 4-star highly rated The Line Hotel embodies everything LA has become synonymous with – chic and vibrant. The 1960s building has been given a wonderfully hip industrial-chic revamp by designer Sean Knibb to slot seamlessly into the downtown Korea Town vibe. The eclectic LA hotel offers something for every traveller’s needs; sumptuous dishes created by Roy Choi, a shop curated by design duo Poketo which offers workshops ranging from sushi making to meditation and because of Korea Town’s 24-hour renowned culture – the nightlife offers a stellar nightlife experience. 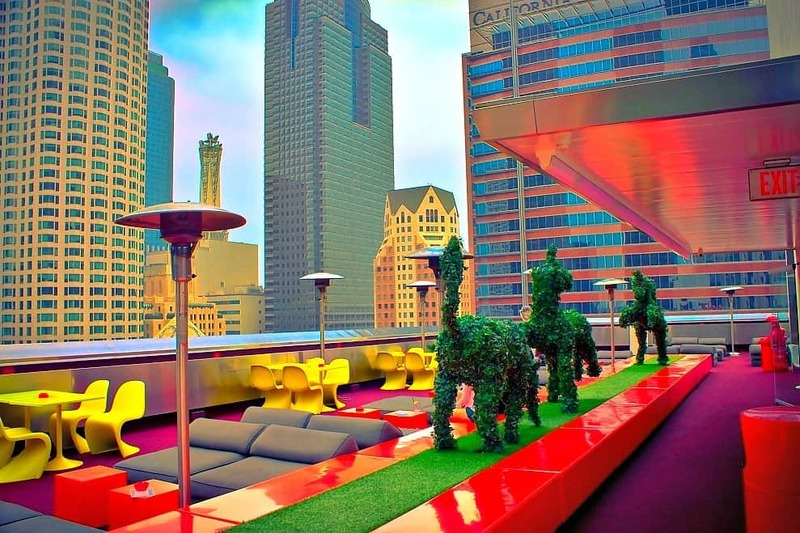 If you opt for a stay at The Line Hotel, be prepared for a multi-layered, truly urban LA experience! Built in 1925, this former YWCA (would you believe!) has been turned into fantastically unique and exotically stylish boutique hotel. 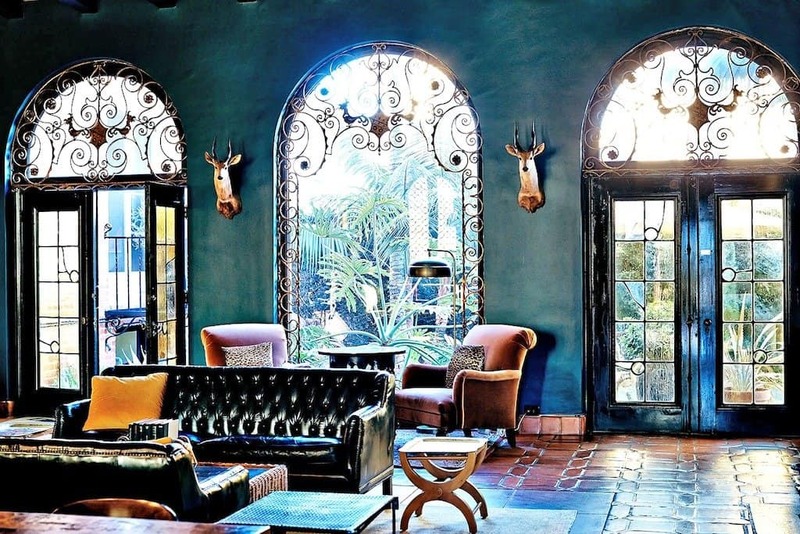 With its hostelling days now just a distant memory, the highly rated Figueroa Hotel is now a creative and distinctive Los Angeles accommodation option which mixes an early California Mission style with plenty of Moroccan/Mexican exoticism. In the lobby you’ll find East African chandeliers elegantly dangling from the ceiling, gigantic cacti and multi-coloured woven rugs which wouldn’t look out of place in a Souk bazaar. Head outside to find an atmospheric floodlit swimming pool surrounded by ornately tiled poolside bar and towering palm trees making it the perfect place to soak up some of those glorious Californian rays. Its artsy vibe also make it a haven for LA creatives types. The only boutique hotel located within a mile of the Los Angeles International Airport, the fabulous highly rated Custom Hotel is great option for anyone staying in the city on a short trip or even a little bit longer. 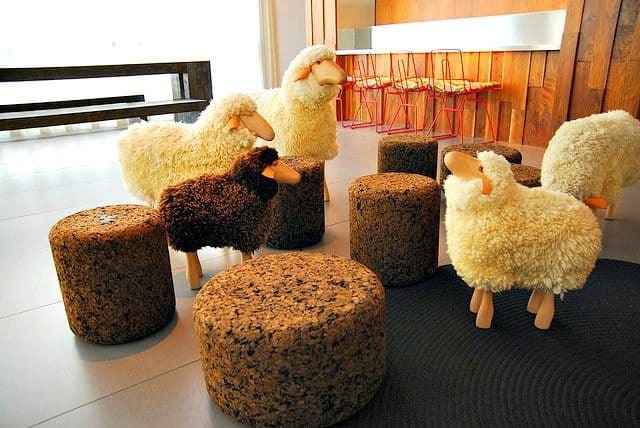 Modern and contemporary but with enough whimsical features to keep things very interesting, here you’ll find cute sheep hanging around in the lobby and dog face duvets adorning the beds in the guest rooms. Cute animal decor aside, the bright contemporary bedrooms also features customized details and all the modern amenities such flat-screen TV’s free Wi-Fi and an iPod docking station plus customizable coloured lighting systems and mini fridges. Essentially they also feature noise-cancelling windows and either ocean or city views (depending which side your room is)! Head downstairs to grab a cocktail in the wood-panelled lobby bar or DJ lounge. Outside make the most of the outdoor pool surrounded by stadium seating, cabanas, and a funky fire pit. 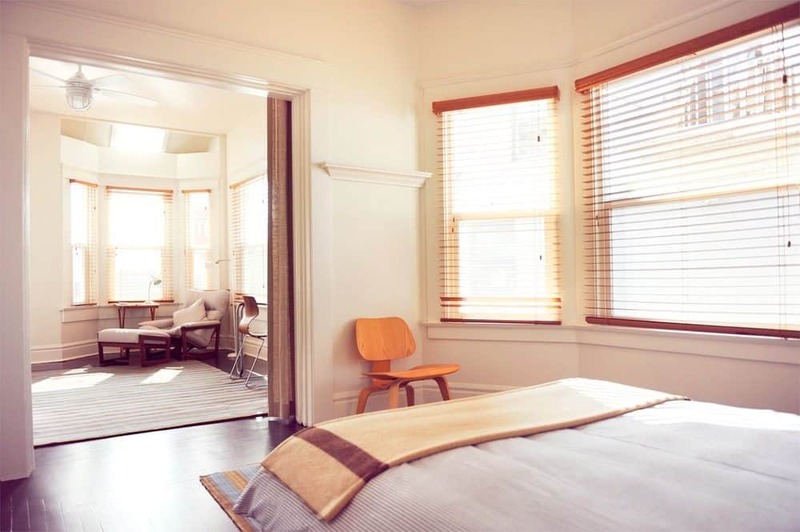 Affordable, accessible and unique boutique accommodation in Los Angeles! Prices from $75 a night. Located in the historic West Hollywood soaked in Old Hollywood vibes, the 5-star exceptionally rated Chateau Marmont (or Castle on the Hill as it’s otherwise known) is as much a feature of Hollywood as handprints and clapboards. Easily one of the coolest places to stay in Los Angeles, an invitation to Bar Marmont is the ultimate party invite, the atmosphere is oozing glamour, sit in a wicker chair and watch love blossom between couples over champagne or Hollywood executives thrash out a deal over Martinis, everyone comes to Bar Marmont after dusk. Accommodation ranges from suites, penthouses to private bungalows- you can only imagine whose feet tread across that carpet before you. Facilities include large flat-screen TVs in the bedrooms, cashmere throws on the terrace, heated outdoor pool and sun terrace as well as chauffeur-driven limos and exclusive fine dining. So what’s left to say? Oh yeah: “Welcome to Hollywood! What’s your dream? Everybody comes here; this is Hollywood, land of dreams”- and when you start sipping a cocktail on the sun-soaked terrace of Chateau Marmont, you would definitely have found yourself in your own Hollywood dream! Prices from $280 a night. 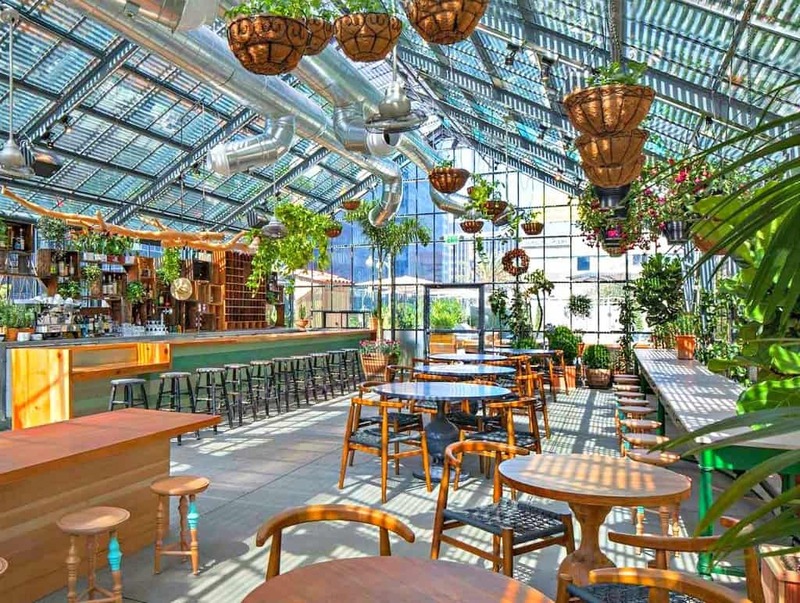 Designed by acclaimed Parisian designer Theirry Gaugin, the wonderfully off-the-wall highly rated Mama Shelter Hotel sells itself as the pot of gold at the end of the rainbow and as something totally different to anything you’ve experienced before in LA. Considering the competition, that’s a very high bar to set! 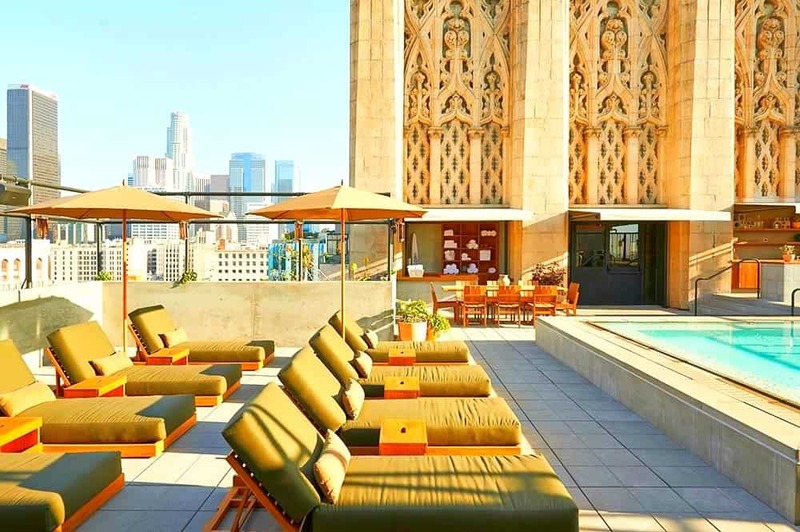 However, this hip and trendy Los Angeles stay will not disappoint, as well as outrageously funky decor it boasts 360 views from the rooftop terrace, including a spectacular view of the iconic Hollywood sign, proximity to the Chinese Theatre and bustling Hollywood Boulevard. Just like any good mama’s house, the hotel will shelter you from the urban street madness, offering great food and plenty of facilities to recharge your batteries – literal and metaphorical. The hotel sits comfortably in the ever-changing landscape of LA and is unshackled by it – a true arty icon in the American City of Lights! 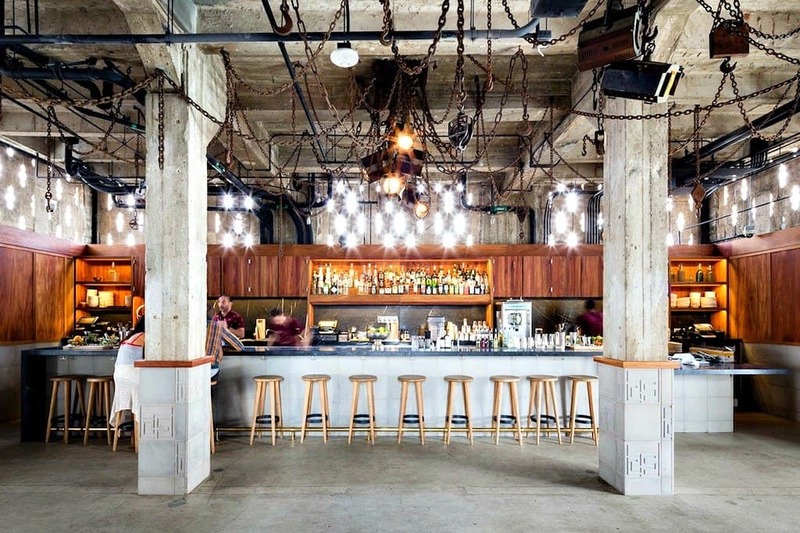 The Ace Hotel is where all the hipsters hang out whenever they’re in town. 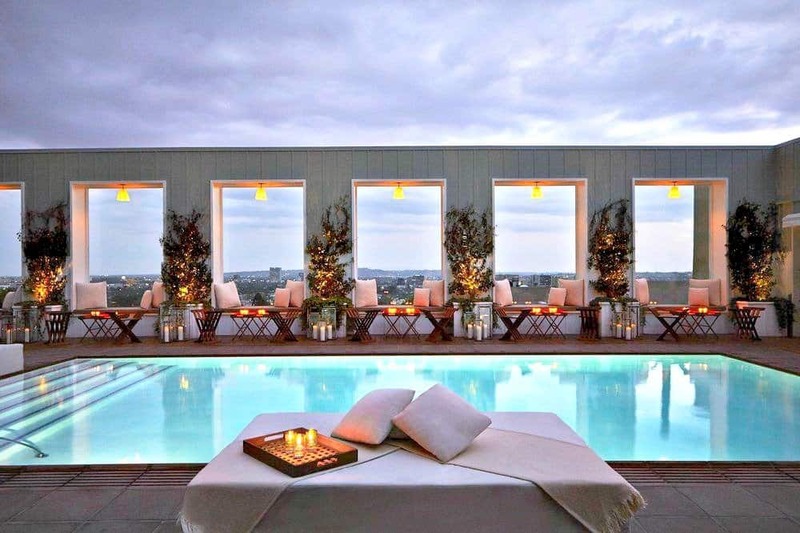 This 4-star exceptionally rated and very cool LA hotel is always effortlessly trendy (without trying too hard either – which is quite an accomplishment)! It opened its doors early 2014 and is housed in the historic United Artists building in Downtown LA. An ornate, storied and vibrant Los Angeles gem, Downtown is undergoing a renaissance. Built in 1927 for the maverick film studio, the UA theatre and tower stand as monuments to a group of seminal American artists pushing out on their own. A fabulous hipster-meets-LA Noir party palace, the ornate building oozes vibrant history and stands alone as a true diamond within the LA story. 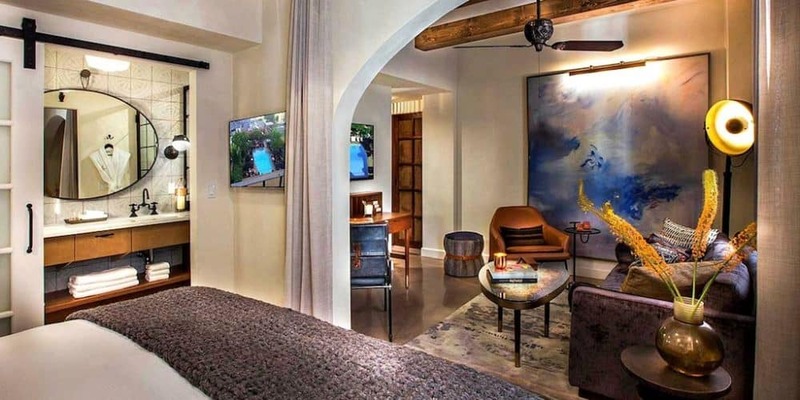 The creative and arty hotel offers a variety of room options from fabulous adjoining terraces (to keep an eye on LA life) to large suites and loft spaces. Every inch of the hotel is carefully designed and curated with art pieces representing its history-making it a true temple of the arts. A stay here will inspire, fill you with awe and offer a Los Angeles cultural experience like no other! 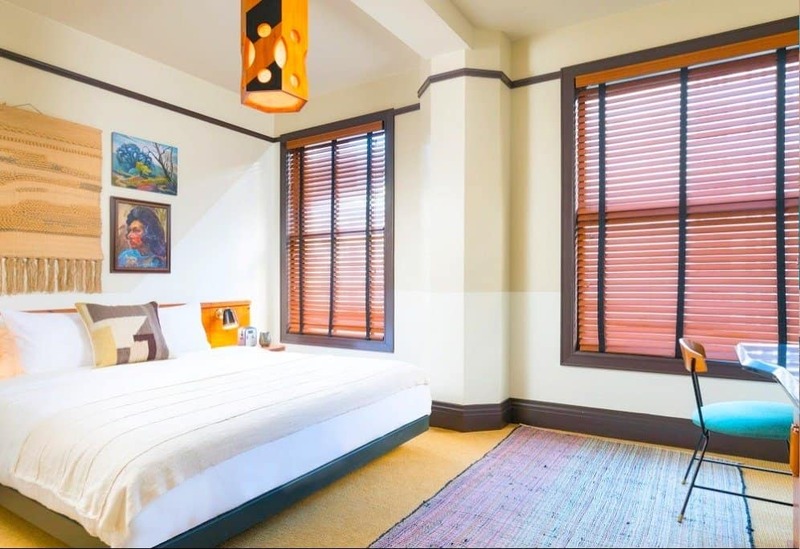 Cooler than a hoe-down but quirky enough to still boast bags of character, the critically acclaimed yet unpretentious Farmer’s Daughter Hotel is an eternally popular choice in the city. Based right opposite the original Farmers Market (yep, hence the name) and The Grove shopping mall, this recently renovated boutique hotel is where country kitsch meets LA modern chic – think eclectic colour palettes, rooster-print wallpaper, rocking chairs and lashings of cosy gingham and even denim duvets, mixed with all the latest mod cons of course! Make sure you make the most of the daily wine hour, their rubber duck lined outdoor pool (yes seriously), their locally famous TART Restaurant where you can watch live music and be served up more helpings of US comfort food than your stomach can probably manage! A very cool Los Angeles indeed! 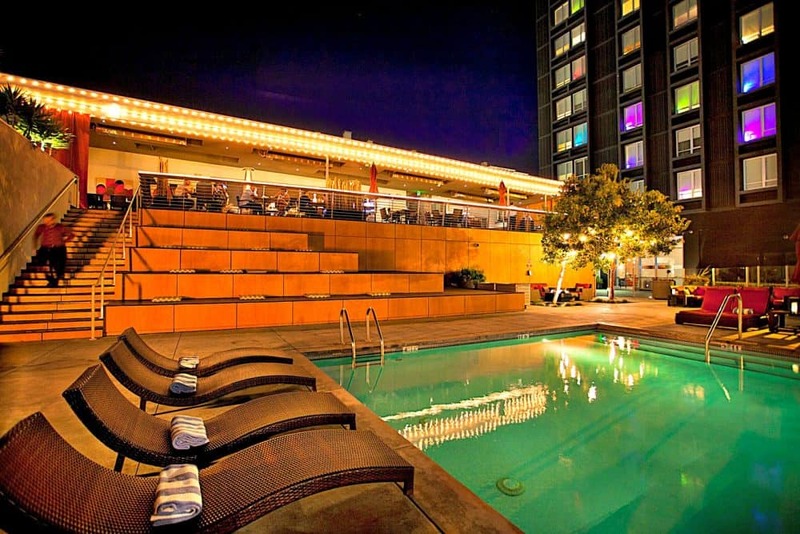 Located between Melrose Avenue and Santa Monica Boulevard, the 5-star exceptionally rated Kimpton La Peer Hotel offers an intimate and luxurious place to stay in West Hollywood. 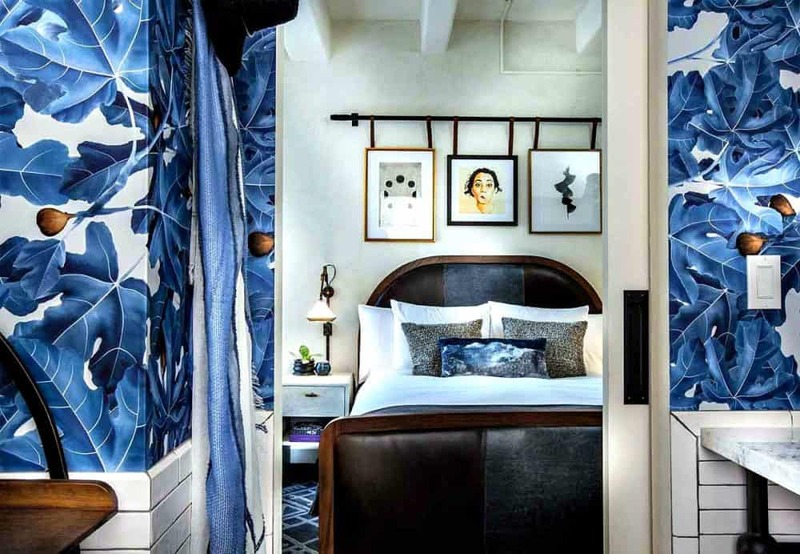 The highly regarded Kimpton hotel chain offers some of the most popular places to stay in California and the chic LA version is no exception. 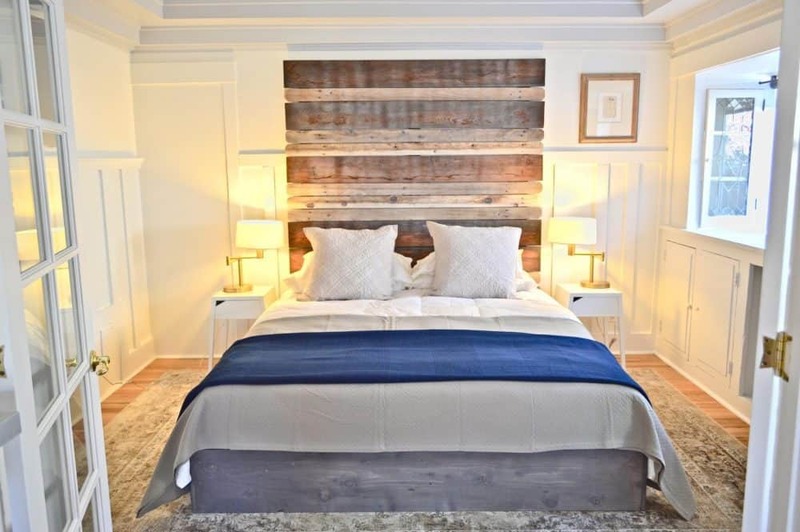 The chic LA abode has 105 guestrooms and suites as well as a rooftop event space. There’s a lush heated outdoor pool and over 8,000 square feet of indoor and outdoor dining spaces. Offering a perfect base for exploring the area, the gorgeous boutique hotel has a fully equipped fitness centre with a resident trainer and can offer guided bike tours and even a butler service. For dining, there’s the Viale Dei Romani, a modern trattoria adjacent to the pool. The plush rooms feature rain showers, deep soaking tub, yoga mats and many have balconies offer superb views of the city. Add in free loaner bikes, an open-air bar, made-to-order picnic baskets and voila you have an absolute must stay! Prices from $170 a night. 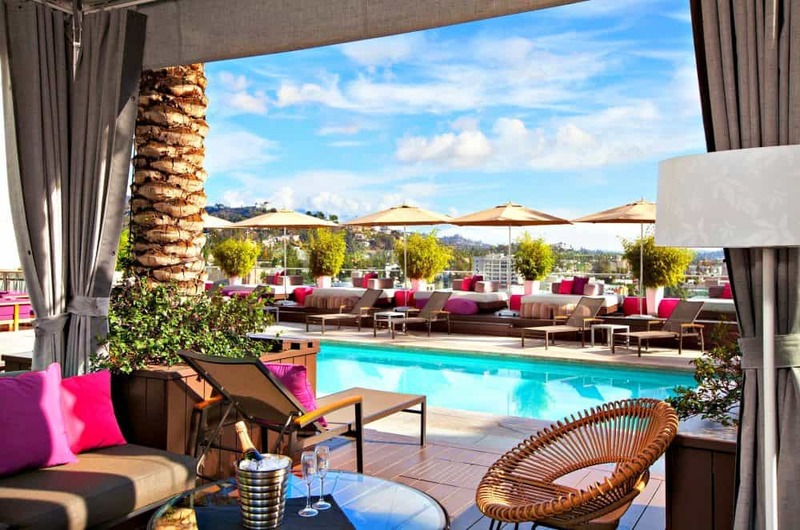 The 4-star highly rated Mondrian Hotel brings its own take on glamour and elegance to Hollywood, offering a sumptuously luxurious experience for visitors including a stunning rooftop terrace and pool. Ultra-contemporary and ultra-glamorous, the rooms are a modern form of elegance with gilded mirrors but tall, wide windows to capture as much of the LA light and sun as possible. 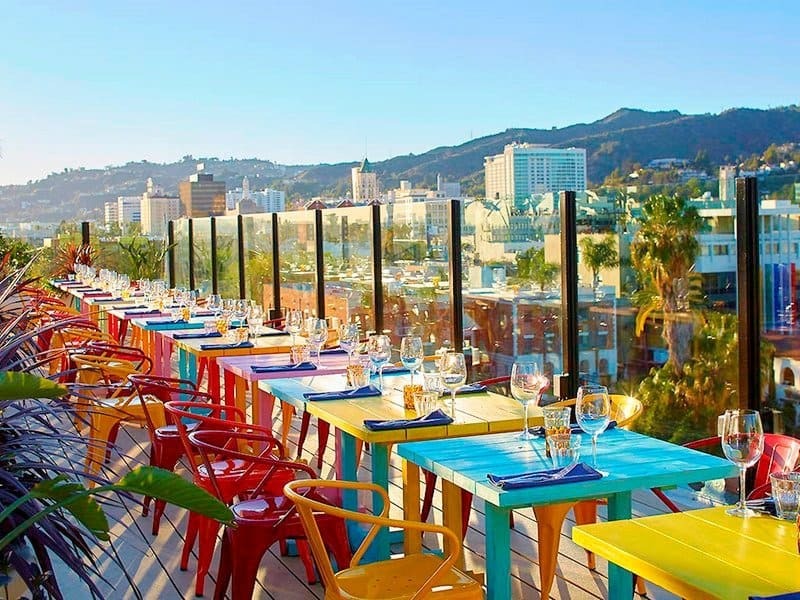 Brightly coloured drinking and dining spaces give the impression of light and space while LA is busy hustling below you. The hotel succeeds in juxtaposing the modern and the classic in a clever amalgamation of taste and style and perfectly captures everything the Strip stands for – excitement, invincibility, and pure glamour….definitely worth a visit if your pockets are deep enough! 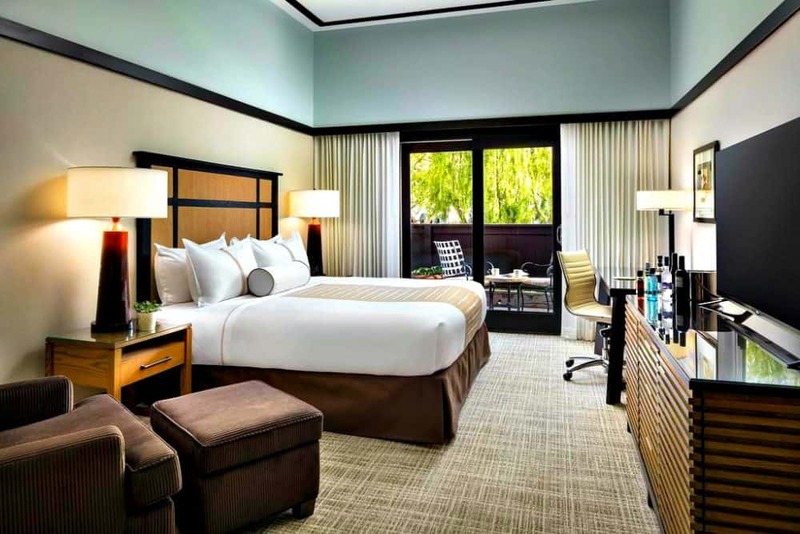 Located in a truly prestigious location at the foothills of Bel Air and adjacent to Beverly Hills is the funky, sumptuous and trendsetting 4-star exceptionally rated W Hotel. Offering oodles of Cali-glam and famous for its luxurious decor and party atmosphere, the highly rated hip Los Angeles hotel offers a fabulous range of fine dining, a stunning heated pool, classically decorated bedrooms as well as a renowned 7,000-square-foot spa and wellness centre and that’s not forgetting the lobby DJ bar where you could definitely spot a celeb or two. 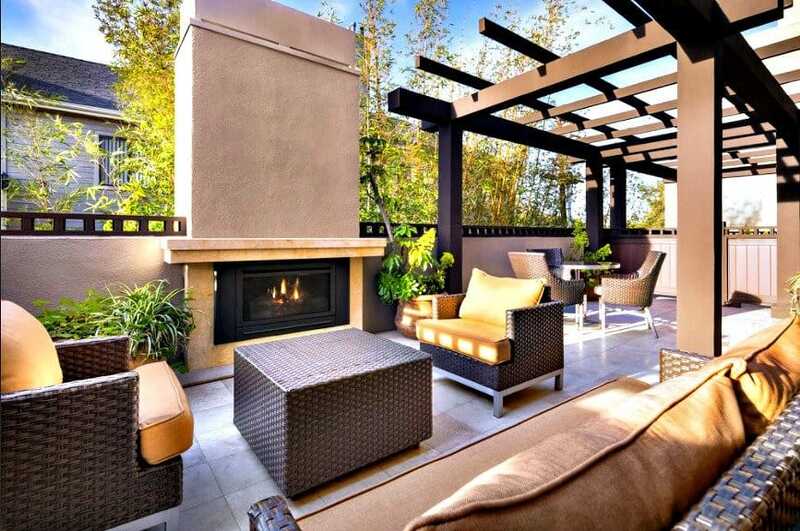 A great option for a traveller looking to really embrace the glam LA experience. Once a beach hostel and then the former summer residence of film legend Charlie Chaplin, the Cadillac Hotel has now been lovingly transformed into a whimsical budget boutique hotel. 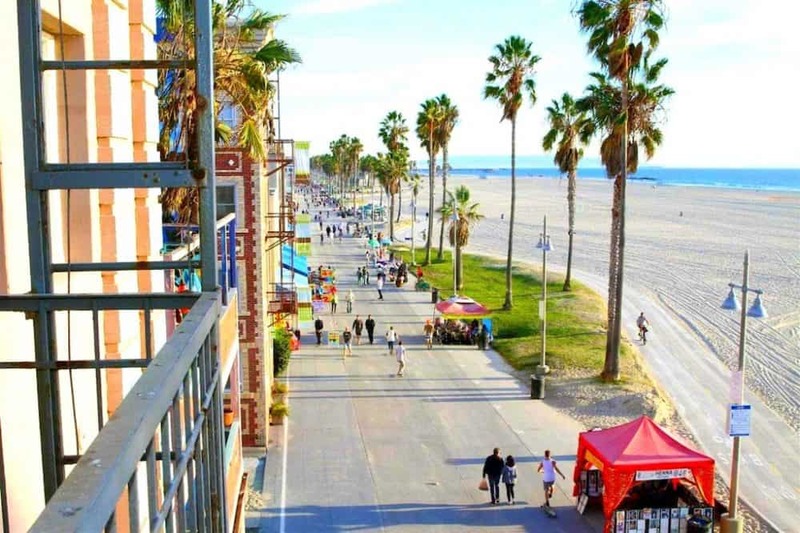 The historic art deco building, first built in 1905, is located right on Venice beach boardwalk and is a good choice for design lovers on a budget. Perfectly fitting in with the relaxed and creative ‘Venice vibe,’ the Cadillac displays work from local artists and has an art deco theme throughout. The bright and airy rooms are tastefully decorated with funky pastel shades, some offer ocean views and all come with eco bath products, plasma TVs and Wi-Fi – a fun and awesomely located alternative to an LA hostel or guest house. Prices from $100 per night. The 4-star exceptionally rated Mr C Hotel is steeped in history emanating from the establishment of the iconic Harry’s Bar in Venice by Guiseppe Cipriani in the 30s which, four generations later, has grown into a world-renowned hospitality brand. Positioning itself around the ethos that an exceptional visitor experience is based on what is sensed and felt as opposed to seen and touched, the Mr C in Beverly Hills is no different. The cool LA hotel itself embraces the light and vibrancy of LA with the understated Italian glamour from which it has its roots to great effect. Old school cocktails, traditional, home-cooked inspired meals and a rooftop pool all come together to embody that ethos of engaging the senses. 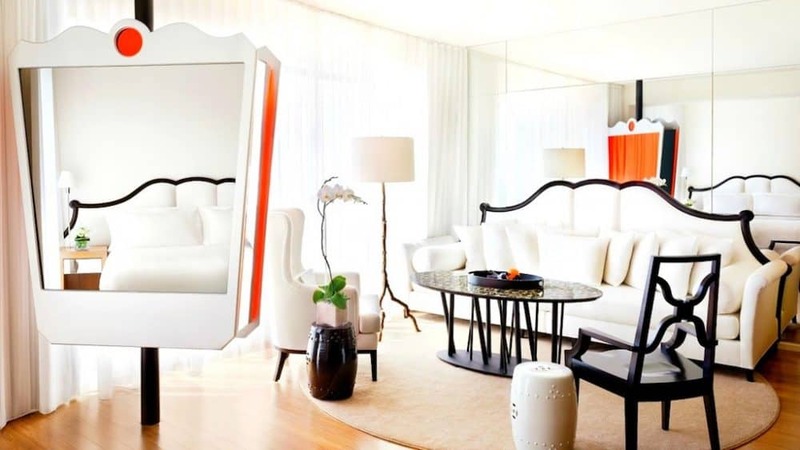 The minimalist-chic décor made up of bright white furnishings (designer of course darling!) leather and oak panelling will instantly transport you back to a golden age of true Hollywood glamour. Prices from $200 a night. 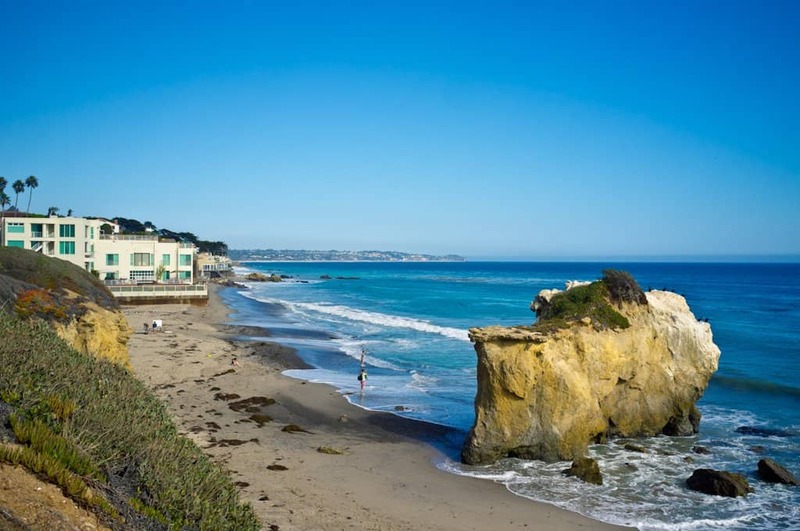 The 4-star exceptionally rated Ambrose Hotel offers a more boutique and personal experience – a Zen-like alternative to Santa Monica’s enormous beachfront hotels. Located in a more residential area a ten-minute drive away from the downtown area and you can make use of their complimentary house car if you fancy dipping into the frenzy before retreating back to the more authentic atmosphere of hotel. This chic LA abode has a strong eco ethos as well as a 24-hour fitness facility equipped with everything from cardio machines to yoga mats and the complimentary bikes will enable you to cycle to along the world-famous promenade Knowledgeable staff will help curate a vibrant experience to suit your tastes to ensure a total immersion in the Californian vibe. All the while knowing a bright, airy, tastefully decorated room awaits you after a busy day sightseeing or LA boutique shopping, alternatively opt for an organic meal at the in-house aptly named restaurant, The Living Room. 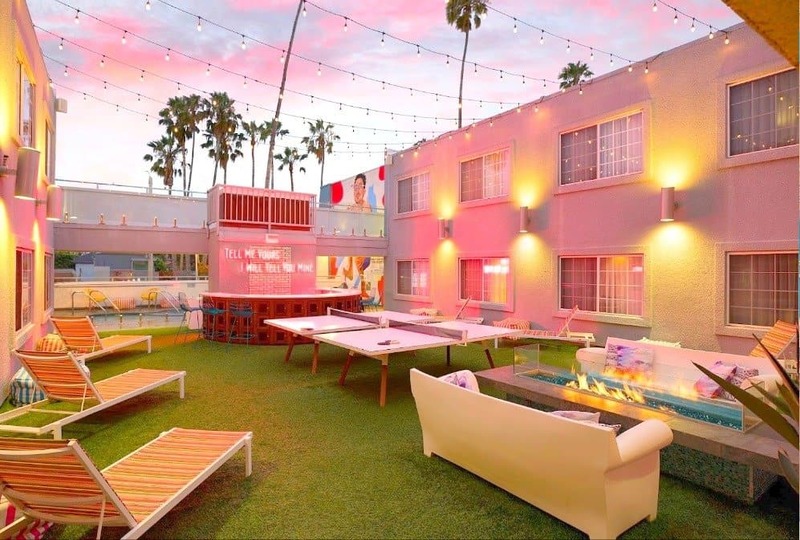 Laid back and low-key yet still with an ultra-hip vibe, the wonderful Venice Beach-based Rose Hotel offers the perfect antidote to the glossy, A-lister obsessed hotels dotted around the city. 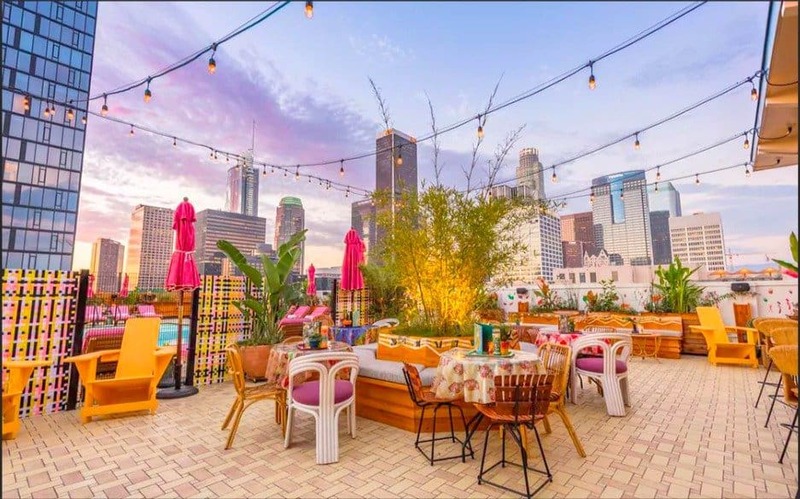 The hipster LA hotel is a 4-star and exceptionally rated and the look is a surfer’s lodge meets boho pad and the trendy but casual accommodation offers a distinctive Shaker-style. Think stripy rugs, whitewashed walls and funky wooden furniture and the unique ambience attracts all the city’s arty types (and beachgoers of course)! A place to kick back, relax and take in all the weird and wonderful sights of Venice Beach. 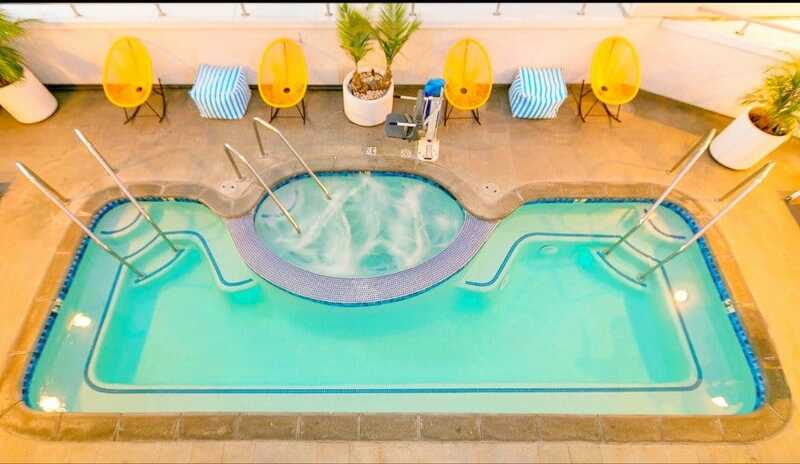 Dream Hotel Hollywood – One of the most popular hotels in Los Angeles from $200pn. 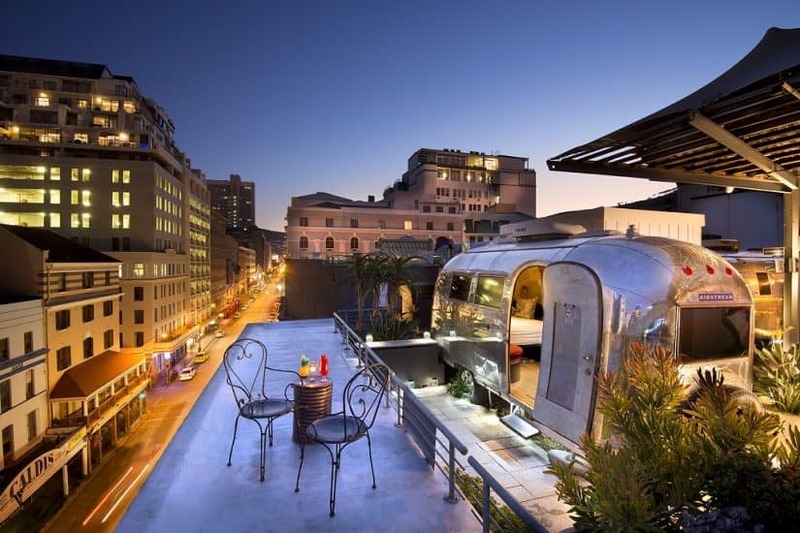 If you liked our collection of cool and unusual hotels in Los Angeles we also have posts on cool hotels in San Francisco, cool hotels in Portland and cool hotels in New York. 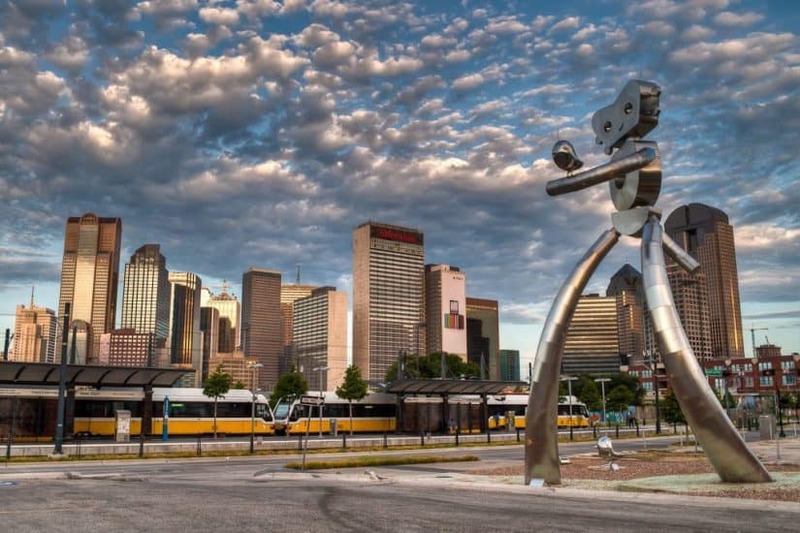 Living in Texas, I found this resource by following a link from Google. Very Glad I did. Useful topic, and great resource. Keep up the Great Work. LA is a place where everyone should go atleast once in her life. So true we loved LA! This was a great list. I’ve been to Los Angeles in the past, but stayed with friends fortunately. I was very surprised when I saw the prices of these hotels as well. You can not beat $22 dollars a night at the Stay hotel. At those prices, you get strangely artistic and unique locations to stay at. Pretty awesome! 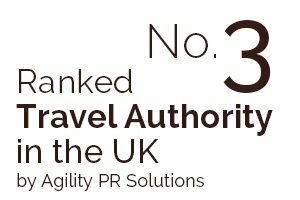 As I was reading down the list I was thinking “I hope they include Stay” and was delighted to find that you did. It is definitely the hostel that surprised me the most on my travels. 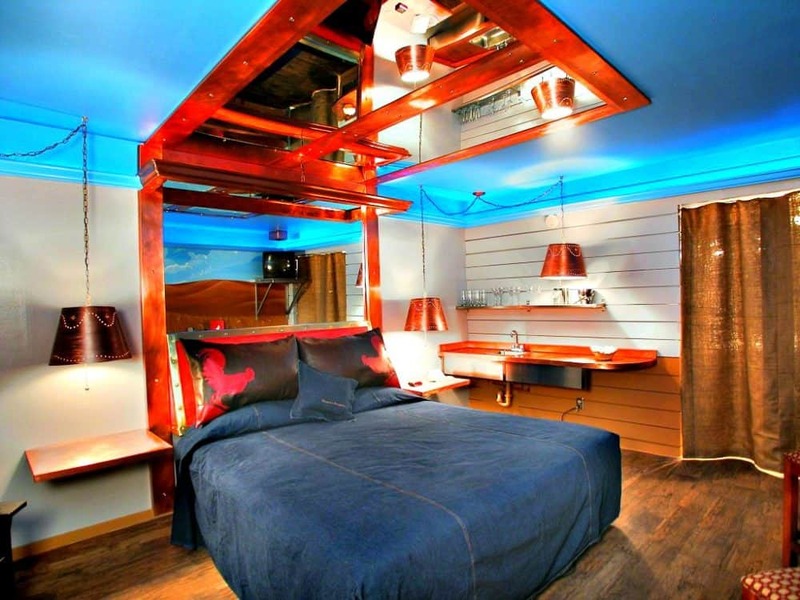 As you said, boutique hostels are unheard of! I’m glad you’ve given it a little publicity. Thanks for your comments, glad you like the selection! What a superb collection. Great variety! You really managed to pick one hotel for every taste! 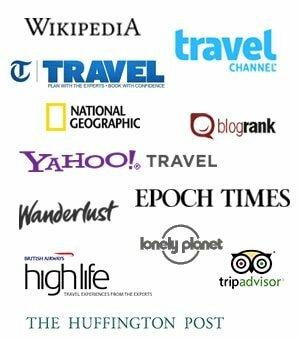 Great list of Hotels !!! 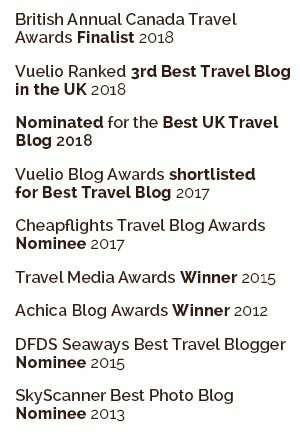 I think Villa Delle Stelle is the one for me.